Millions of Monarch butterflies migrate up to 3,000 miles each winter, farther than any other butterfly—travelling 50 to 100 miles a day. The Monarch can smell its mate from 5 miles away. American pikas occupy talus—rock piles that accumulate at the base of a slope—at high elevations in western mountains. Pikas are thought to be a prime example of the potential effects of climate change because they are sensitive to warm temperatures and rely on insulation provided by snow to survive cold winter temperatures. 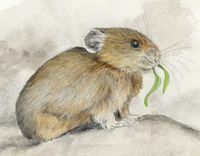 However, several recent studies indicate that pikas can be resilient to each of these factors. Most pikas in the Sierra Nevada survived the winter of 2014, when there was almost no snowpack. Pikas persist in many hot localities as well, demonstrating their ability to cope with high temperatures. 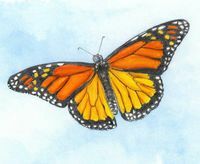 Normal biological patterns of the Monarch Butterfly are closely linked to a specific range of temperatures, moisture or levels of carbon dioxide. Environmental conditions can change beyond the Monarch Butterfly’s ability to survive or adapt. For the Monarch Butterfly climate conditions such as temperature or rain are triggers for migration, breeding, hibernation, egg laying or other actions. 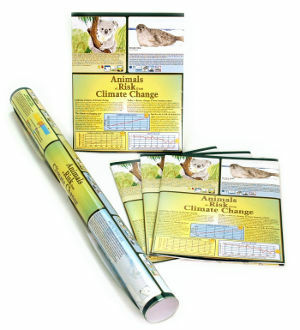 For example, earlier spring temperatures may cue a species to start migration northward, but arrive at their seasonal nesting habitat before food is available or abundant.